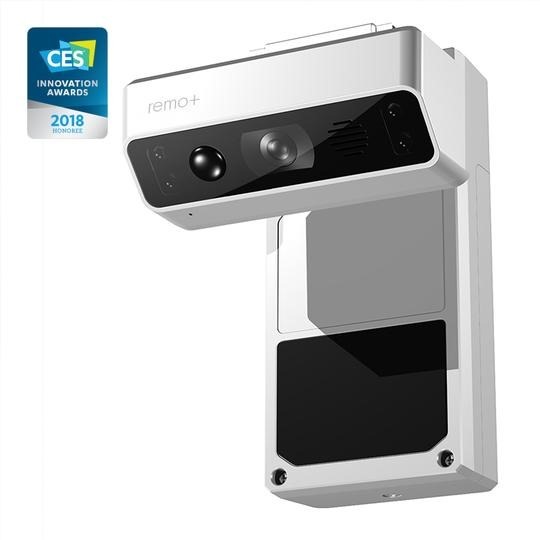 A couple of months ago, I read about a new security camera for your house: the remo+ DoorCam. It’s a motion-detected security camera, but waaaaaay simple to install and configure and use. We have stucco and unfinished stone on our outside walls and that makes it a pain in the neck to install security cameras and the like, and that’s even before you have to worry about the power line. I’ve even had a Ring doorbell sitting in its box for the last six to seven months, because to install it would require chipping away at some stonework – no thanks. 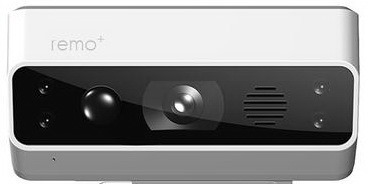 The DoorCam is doubly interesting in that respect: first, it fits over your door and, second, it’s battery powered. They promise “up to 12 months” for the batteries: we’ll see. So, I plopped down the $199 – with free shipping! – and waited for it to arrive. Setting it up was indeed a breeze. I downloaded the remo+ app onto my iPhone, installed the batteries (three D-type batteries) into the DoorCam, and then switched it to configuration mode. What this does is to run a mini WiFi endpoint that you can then connect to using their app. 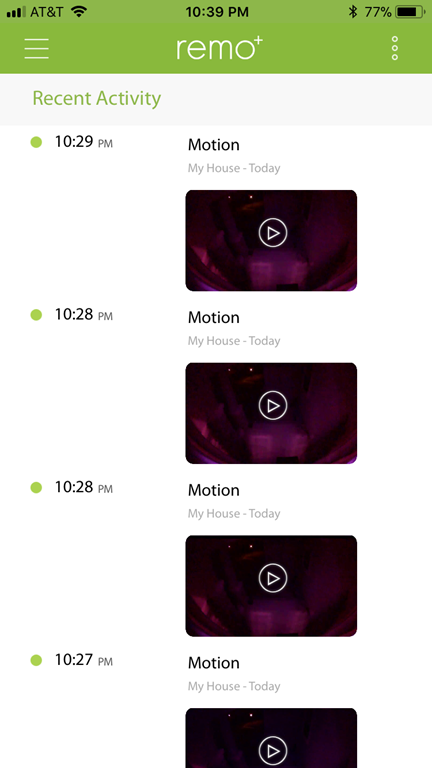 Using that I could then set up various configuration options, and then get it to connect to my IoT Wifi endpoint, after which it was ready to be “fitted” to our front door (it essentially hangs over the top of the door with the camera and motion detector on the outside and the clever bits and batteries on the inside). And it works. 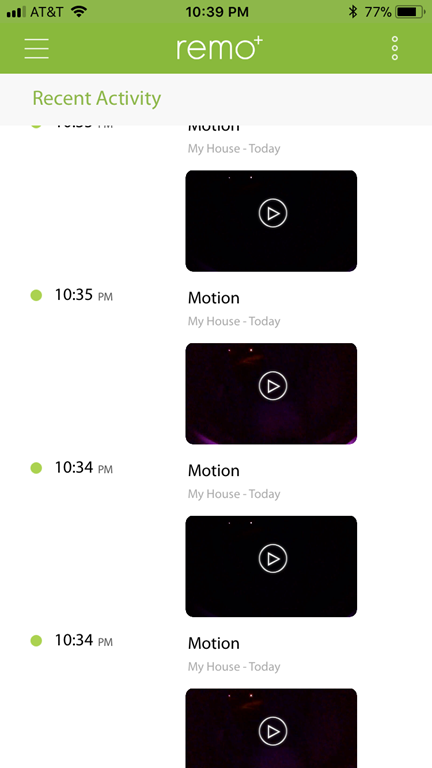 Every time someone comes to the door (or, equivalently, I open the door to take the puppy for a walk), I get a notification on my phone that the motion detector has noticed someone’s there. 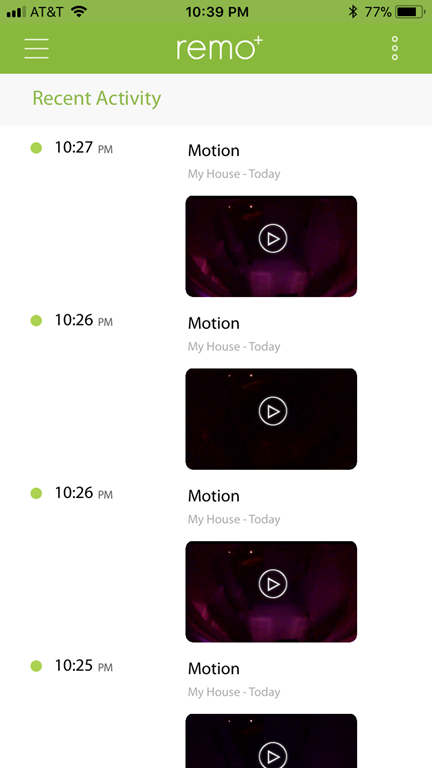 In theory, I can then use the DoorCam app to talk to said person at the door, etc, but to be honest, I don’t care about that feature and have never used it. One reason is that our front door is 8 foot tall and people just don’t look up and see it. That’s fine by me: I don’t want to advertise that there’s a security camera watching them. It’s not a Ring doorbell after all. 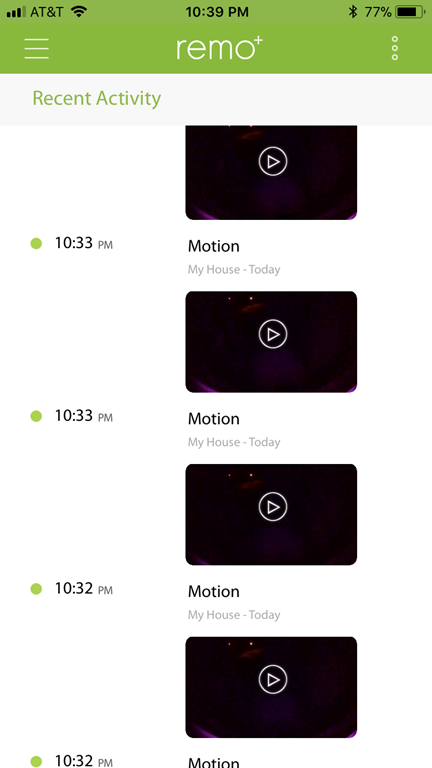 If I ignore the notification, the DoorCam will record the next 20 seconds or so and upload it to the Cloud and I can review at leisure. So, am I pleased with this purchase? Not 100%. First of all – and this goes for a sh*tload of other such IoT devices – you have to use remo+’s Cloud. No, you can’t use your own, like Azure or AWS, or even your own NAS on your network. You have to use theirs. If they go out of business, you have a deadweight on your hands, or at least hanging over your door. If they have a security problem, tough. Which is one reason I’ll just stick to the video recording and playback. 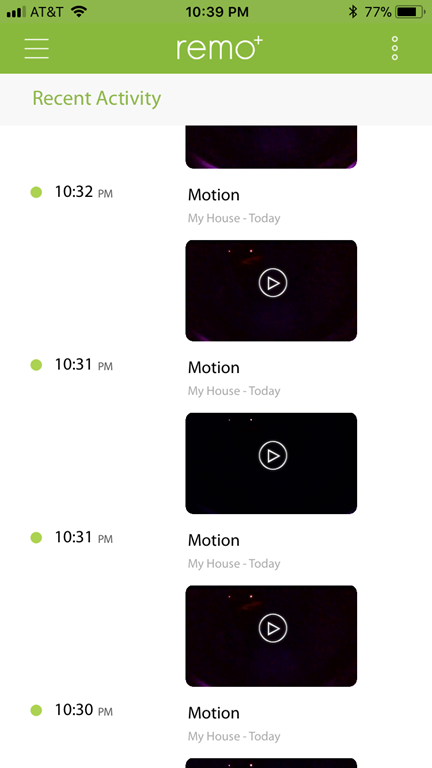 Second, I have had some real bizarre problems in the evening with the motion detector firing every 30-45 seconds. 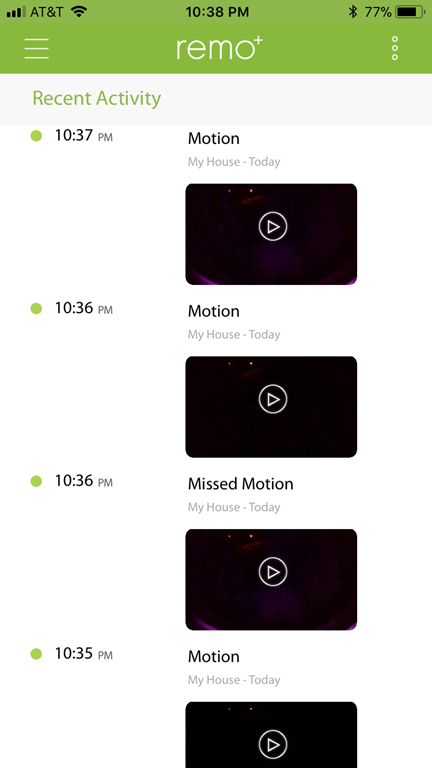 I’ll go out with the pup, say, come back, and then ping ping ping I’ll get notifications for the next five to ten minutes that there’s something there. But, on reviewing the videos, there’s nothing, nada. Never during the day, mind, only at night. It got so bad one evening, I took it down, removed the batteries, and then left it on the floor in my office. I was done, finished, going to send it back. It was the week before Christmas though and I didn’t do anything about it right then. During the New Year break, I revamped our home network a bit (I’d bought the ASUS RT-AC3100 as our main router) and decided to give it one more try. Maybe it was the wind in the Christmas decorations outside by the side of the door that was triggering the motion detector? I dialed the detection level way down and reinstalled. So far, there’s only been one evening that this weird bizarre issue has happened, so we’ll see. Third: the video is certainly not of a high enough resolution to see the face of who is at our front door. This may also be an issue with our tall door as well: the camera is high and pointing down: not the best angle to capture an image of a face. So if it captures someone coming to your front door to steal a package that’s lying there, that’s about all you’ll know. Would I recommend it? Well, for the particular scenario I have, sure. It gives us an idea of who comes to our front door – package delivery, milkman, etc. Since it’s not a doorbell, there is no real point in having a two-way conversation through it. The four issues I mention are also to be taken into account, but at this point I don’t feel the need to ditch it.